Samsung officially confirmed the Galaxy J will launch in Taiwan today, after teasing the news last week with a flashy video. The 5-inch handset will hit the Taiwanese market later this month on a number of major carriers including Chunghwa Telecom, Taiwan Mobile, and FarEasTone, starting at 21,900 TWD (roughly $740) unlocked. The Galaxy J comes equipped with full HD 5-inch display, a quad-core 2.3GHz Snapdragon 800 processor, a 13-megapixel rear camera, a 2-megapixel front-facing shooter, a 2,600mAh battery, NFC, 3GB of RAM, and 32GB of onboard storage with microSD support. 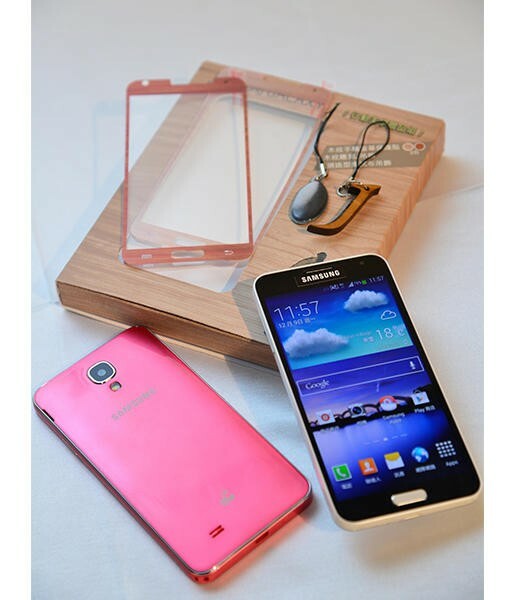 The device runs Android 4.3 out of the box with TouchWiz on top, and comes in white and pink models. There’s no word on when the Galaxy J may hit other markets, though we’re not expecting a U.S. launch anytime soon. Samsung is likely already gearing up to launch the rumored Galaxy S5 early next year, while the 5-inch Galaxy S4 is still selling well in most markets.